Anyone who spends any amount of time on the internet has come face-to-face with a Harry Potter meme or two. But while the internet is riddled with memes celebrating the iconic British wizard, there’s one person who hasn’t spent a lot of time looking at Harry Potter-related jokes: The Boy Who Lived himself, Daniel Radcliffe. Since Professor McGonagall was nowhere in sight, Fallon took it upon himself to show Radcliffe the best ones. After seeing the “Hairy Pugger” photo and a quidditch meme set to Jay-Z’s “99 Problems”—which elicited a very enthusiastic response from Radcliffe—the Harry Potter actor reflected on his time working on the hit franchise, revealing that he never felt “cool” while making the movies. "You know, what's cool about that stuff is that I never, as a kid—and you're just insecure at that age—I never felt cool at any point playing that character, and sort of these things go like, 'No, people thought that was pretty cool.'" 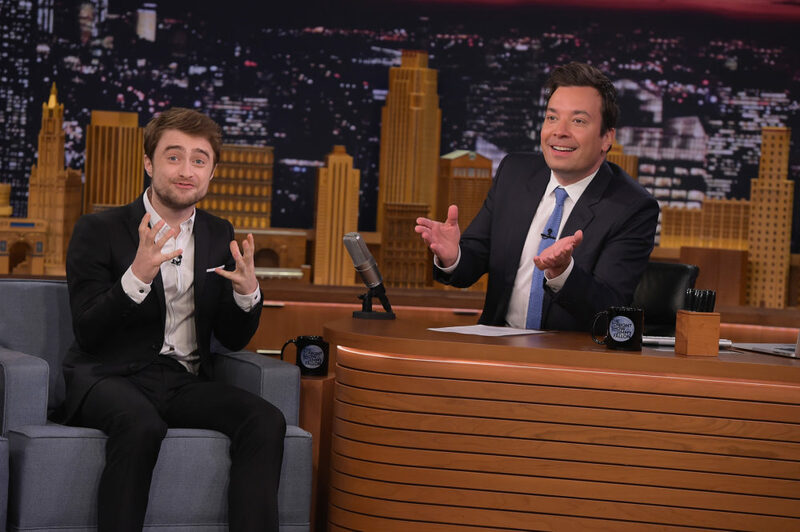 While most of the memes Fallon showed Radcliffe have been making their way around the internet for years, the host ended the lesson with “Dancing Hermione” from the London Pride Parade, which went viral over the summer. Radcliffe joked that they need to remake the films as a musical…and, um, we’re on board. Now we can all rest easy knowing Daniel Radcliffe came face-to-face with Harry Potter memes and walked away unscathed. Maybe he really is The Boy Who Lived.